The Public Defender represents individuals lacking sufficient funds to afford private counsel and who are charged with either misdemeanors or felonies. 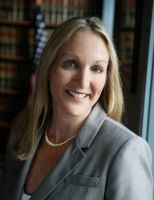 The Public Defender is also appointed to represent individuals charged with summary offenses who face incarceration and juveniles who are charged with offenses under the crimes code. Q. How do I qualify for the services of the Public Defender? A. Those who earn less than $20,000 per year generally qualify. Q. Can the Public Defender represent me in Divorce, Custody, and PFA (initial filing) and other civil matters? A. The Public Defender’s Office only represents criminal defendants who have been charged with a Misdemeanor or a Felony or those who are facing criminal penalties such as when a defendant is in violation of a PFA Order. Q. Does the Public Defender represent defendants in support court? A. No, because support actions are civil as opposed to criminal and the Public Defender does not represent defendants in civil actions, with the exception that the Public Defender does represent defendants in Contempt proceedings in domestic relations matters when there is a risk of incarceration. Q. Does the Public Defender have anything to do with the Work Release Program or the House Arrest Program? A. No, the Work Release Program and the House Arrest Program are handled by the Mifflin County Correctional Facility and the Juniata County Probation Department. Forms for these Programs can be obtained from the appropriate department. Any questions that you may have about these programs should also be directed to the appropriate department. Q. How can I obtain an application for the Public Defender? A. You may obtain an application for the Public Defender by requesting one from the District Justice where your Preliminary Hearing will be held or download the Application for Public Defender Services. Completed applications should be returned to the Office of the Public Defender located in the Courthouse Annex or the office of the District Justice.